D-Day is the name given to the day of the commencement of Operation Overlord, the Allied assault on the German coastal positions in Normandy as an initial action for the reconquest of France (its liberation from German occupation enhanced through the complicity of French collaborators) and eventually for the invasion of Germany to the ends of destroying its government and thus ending the war that began for the Western powers on September 1, 1939 with the German invasion of Poland (though war had begun much earlier in Asia). The commemorations have been changing character as the millions of individuals who lived through this important historical era of the United States pass into history. However, the memory of the horrors, the planning failures, and the costs in lives that secured an Allied victory in Europe, survive in the field notes taken at the time and preserved as a reminder of the costs of glory (S.L.A. 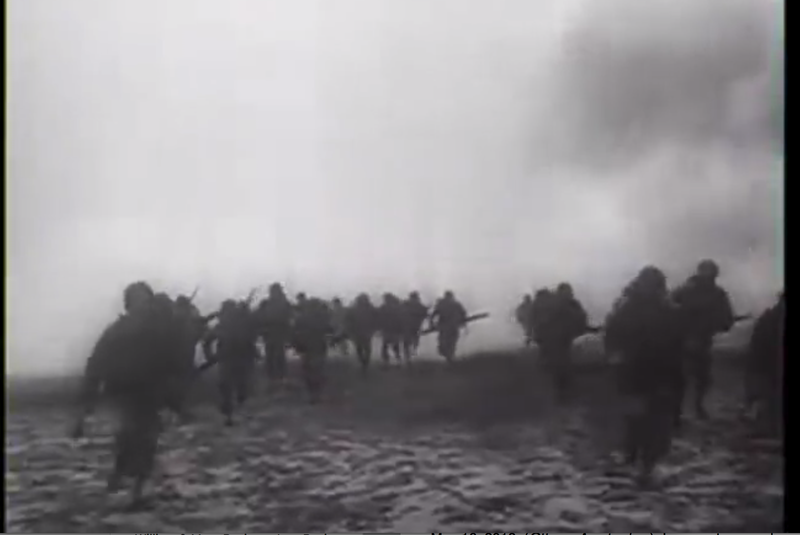 Marshall, First Wave at Omaha Beach, The Atlantic 1960). And they have come to dominate the stories that are preserved in our movies--not the heroic tide of history marching in the form of abstract concepts like states made flesh, but in the sacrifice of individuals banding together to perform small acts of courage and sacrifice, sometimes with full knowledge of the absurdity of the situation in which such courage and sacrifice was demanded (e.g., here, and here). In memory of that sacrifice and those memories, and to honor the grand victories overseen by the few leaders of the many but made possible by the many sacrifices of those who consented to be led, this post briefly considers the way that history and memory figure into our relation to D-Day, and how that that relation between history and memory, what occurred and what is remembered continues to play a crucial role not in the shaping of history but in the curating of present through the management of the living memory of historical epochs. How one remembers (for every one remembers and invokes distinctly to suit the times and context) history is a complex, and inevitably political enterprise. Better put, perhaps, is that the memory of a thing can be experienced differently than a recollection of its historical occurrence (with analysis of its significance and relation to the present). The first, memory, is visceral and immediate. It is emotive and dynamic. The latter, a recollection of history, is and remote. It is detached and static--a calculation bound up in a particular way of dressing up the past to suit the present. This is well known, but worth recalling. Over the past sixty-five years, the Allied invasion of Northwestern France in June 1944, known as D-Day, has come to stand as something more than a major battle. The assault itself formed a vital component of Allied victory in the Second World War. 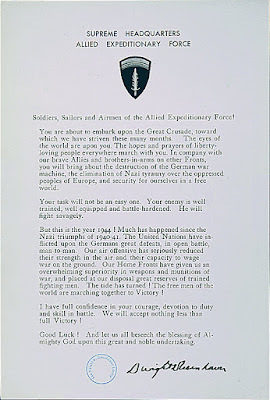 D-Day developed into a sign and symbol; as a word it carries with it a series of ideas and associations that have come to symbolize different things to different people and nations. 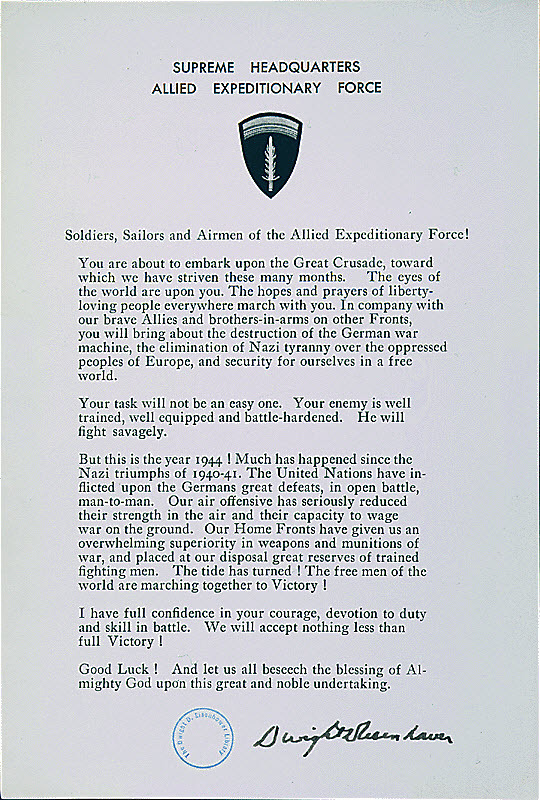 (D-Day in History and Memory). History is not collective memory, and collective memory is not history. Each are quite different ways of relating to time. The relation is not to times past, but rather between times past, times passing and times that approach. But these temporal relations are distinctly experienced by individuals and by the individual as a member of communities. And that bring us back to D-Day. The event and its context remained a living thing to the generation that experienced it. It was immediate and visceral. And though the community, and its managers, had sought to develop its history to suit interest (political, economic, cultural, and the like), the individual remembered. And memory was protection against the construction of history for specific ends. 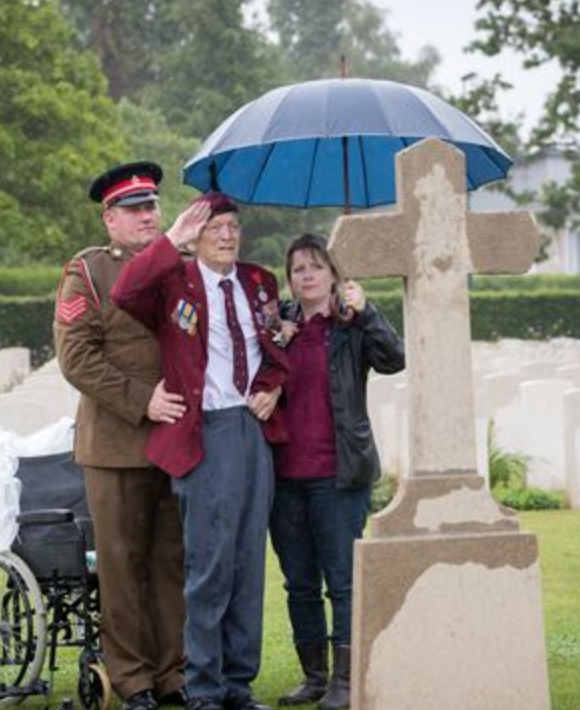 The difference was hard to see even during the time when the generation that lived through D-Day was in its prime; the individual has tended to be flexible in acceding to the imposition of collective memory as history by her "betters"--those with authority--but they could still remember. So one could construct a history of D-Day and its aftermath for a variety of ends, but one deployed edited memory for those ends and against the knowledge that many remembered. But the memory of D-Day made it more difficult to construct its history in ways that deviated too far from what collective memory might tolerate. That tension between memory and history, between remembering and recollecting the past has marked D-Day for a long time. One can recall what one reads and what one has been taught. But that recollection is merely the memory of the learning. One recalls experience differently. It is an incomplete history to be sure, but it is also a recollection that might be interpreted in light of subsequent explanation yet that explanation can never displace the relation between the individual and the lived experience. Yet as that generation dies, and its memories with them, D-Day assumes more the character of history than of memory, of the recalled experiences of others rather than of a memory of the self in time. And history can be a very seductive tool. That distinction between memory and recollection, and between the memory of the individual and the recollect of the community, helps shape the distinction between experience and politics, between the recording of individual memory and the interpretation and refinement of this recollection aggregated and distilled for particular ends. For those in the business of constructing recollection for the management of masses, this is an important distinction. D-Day thus produces a memory. It is not the recollection of the memories of others transcribed for the management of my sentiment or recollection of the "truths" or "lessons" of those memories that I cannot possess except indirectly. It is a memory of the way in which the gathered recollections of those with memory is refined to serve the present and project a shape to the future. That is, one gathers in the refined recollections of the memories of others the way to shape the memories of the present to produce choices that shape the memories yet to be made. Once we are all dead, the future will not remember the past as those who lived it remembered, but as those who came after recalled. It is not the man Rodrigo Díaz de Vivar who is remebered but El Cid (al-sidi) who is revered as his life is transformed into both ballad (El Cantar de mio Cid) and as the incarnation of a historical epoch that then shapes our own. The artist, the historian, the politician, the advocate forge recollection from the preserved memory of others. All shape the recollection of the past to suit the current moment, or their own desires. 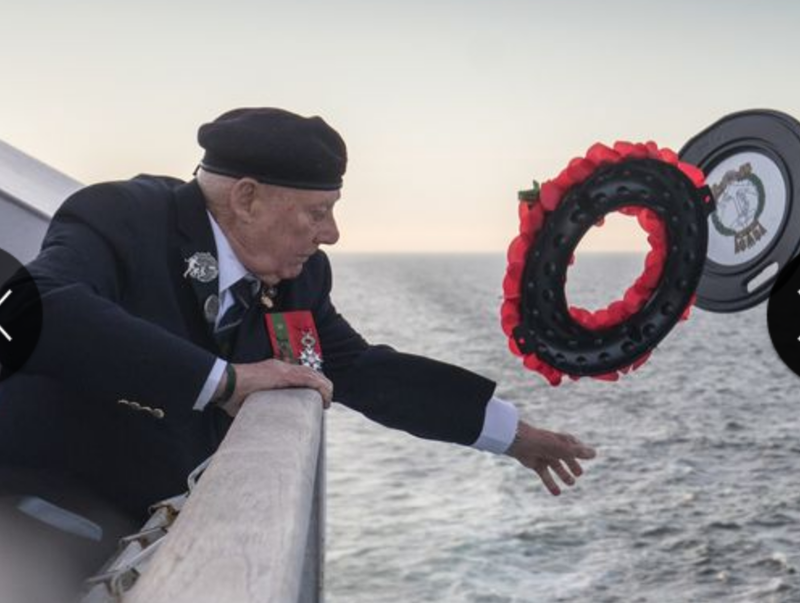 The recollection of D-Day, like so many other pivotal events, will remain pivotal in dynamic ways to suit the stories that are woven around them ansd the barriers that are erected to their recollection. Every generation will reshape the recollected memories so assembled to suit their own objectives, desires and tastes. And those who carry on the work of preserving the memories of those departed will likely remain at the margins of the weavings of these epochs and of thew construction of the rules and taboos about recollecting the past. These careful abstractions, then, ought to remind us--as does the sacrifice of those whose memories ended on the beaches of Normandy--that the ballads that are written thereafter will help shape the recollection of those with no memory. And it will be to the interpreters of those recollections that the masses will be directed (instructed) in the appropriate way to "understand" and "learn from" the events. Every people has their set of such recollections. And when used to reinforce the values and self constitutions of those communities can lauded as art with self reflexive value as a shield--a collective memory that preserves group feeling (asabiyah). Yet communities also use recollection as a sword to incite and to preserve animosities that have current political value directed either inwards toward elements no longer in favor or outwards towards useful enemies. 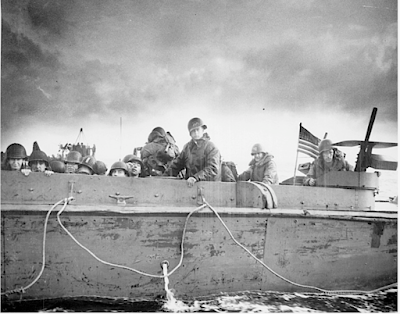 To honor the memory of D-Day, then, it might be useful to consider both the richness of memory and the danger of recollection.One ought to be cautious when the recollections of the past are meant to be used as a tool for shaping the future. Even more so, caution is necessary when those who wrap themselves in the mantle of produces of knowledge form memory seek to control recollection by controlling its perception and interpretation.